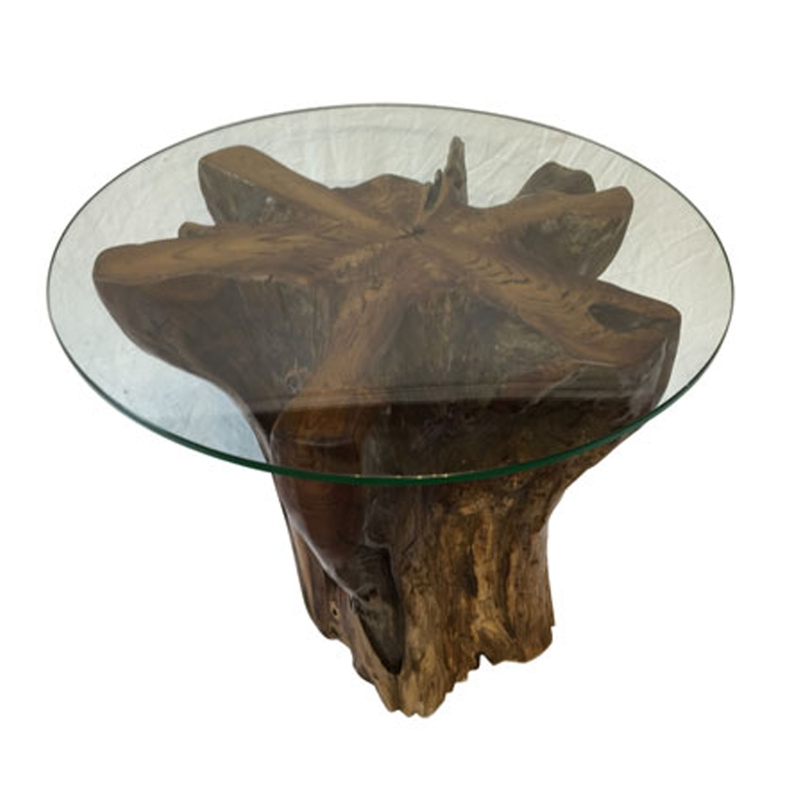 Add a contemporary style to your home by introducing this gorgeous Teak Root Side Table Trunk Round Glass. This piece contains a base that resembles a tree trunk. This base is created from teak root. The base of this side table holds up a round glass surface that's very stylish.